The house smells faintly of slow-cooked pork and wood smoke. The aromas strengthen each time someone opens the patio door. I can see the Big Green Egg from my vantage point on the sofa, soft wisps of white smoke puffing from the vent in the top. My husband has been manning the grill since 7:30 this morning, and when the meat comes off in just a short while, the pork will fall from the bone with the gentlest nudge. I’m not a professional football fan, but I’m thankful tonight is Super Bowl Sunday, if only for the fact that Sam has volunteered to make pulled pork for a friend of his – and thus, for us. My knitting needles are beside me on the sofa, 58 stitches of a lovely blue yarn line the cable. I’m still working on my Color Tipped Scarf, but I wanted something fresh that I could travel with later in the week. I’m headed to San Diego for a meeting on Thursday, and I’m anticipating hours of plane-ride knitting. I thought I’d make a sweater next, but I saw this wrap some time ago, and I can’t get my mind off of it. I tend to listen to my heart. Or my gut. Or whatever other internal organ from which these instincts arise. The point being: I’m making this wrap. I will not let the pattern’s knitting chart intimidate me, either. I have made two banana cakes in the last two weekends. If it weren’t for those overripe bananas I forgot to eat during the week when they were appropriately ripe, I might have made a pie or cookies or some other treat. Because I was determined to bake. I had overripe bananas, though, and I didn’t want to make my old standby, banana bread. I wanted something…more. 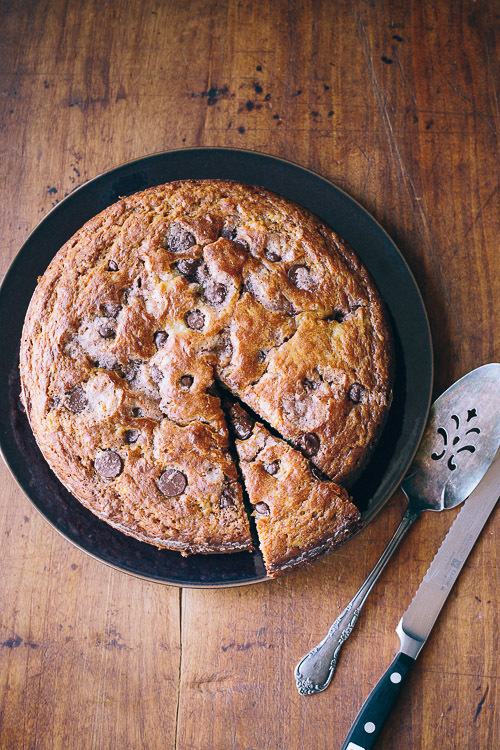 I plan to eventually share both cakes with you, but for today, you get this version – a chocolate chip banana cake. The combination of chocolate and banana is one of my favorites, and this cake takes advantage of that blessed match. After our dinner of pulled pork, baked beans, and coleslaw tonight, we’ll be eating slices of the other banana cake…the one I’ll share with you next time. This cake is really a breeze to make, and you probably have all of the ingredients in your pantry or on your counter. It's a versatile cake to serve for breakfast, snack time, or dessert. Preheat oven to 375 degrees with rack in middle position. Butter and flour a 9-inch round cake pan. In a large bowl, using an electric mixer on medium speed, beat together softened butter (1 stick) and 3/4 cup sugar until pale and fluffy. Add eggs, one at a time, and beat until well blended. Beat in bananas, yogurt, vanilla, and rum (mixture will look curdled). 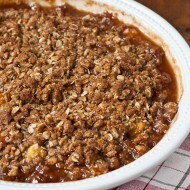 In a small bowl, stir together chocolate chips, cinnamon, melted butter, and the remaining 1/4 cup sugar. Spread half of banana batter in cake pan and sprinkle with half of the chocolate chip mixture (using your fingers is easiest). Spread remaining batter evenly over filling and sprinkle remaining chocolate chip mixture on top. 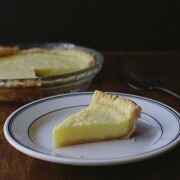 Bake until cake is golden and a toothpick or cake tester inserted in center comes out clean, 45-50 minutes. Cool cake in the pan on a rack for 30 minutes, then turn out onto rack and cool completely, right side up. Adapted from this recipe in Gourmet, February 2008. LOVE the Lottie & Doof blog…..I was hooked when I saw the post on the jammers. I never thought of using a whoopie pie pan!! Thanks so much for the kind words about Lottie + Doof! I’m so happy to have found your site, too. Have a great spring break! Aw, Merry-Jennifer, I too am very flattered. 5 Second Rule is a real labor of love for me, and growing the community to the point where it gets recognized by smart, thoughtful people like yourself makes all the work worthwhile. Have a wonderful break MJ – and those three blogs are already in my reader too! Great minds!!! These are all wonderful bloggers… with terrific blogs. Thanks for sharing with those who may not have heard of them! Great blog suggestions. Have a super spring break. 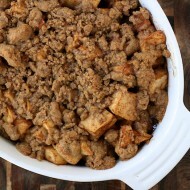 Really like your cinnamon apple crisp recipe, makes for a great dessert, light and filling. Of the blogs you mentioned, Lottie & Doof is indeed very good and well done as is yours. Enjoy your Spring Break and thank you for sharing. Will visit the other blogs you mentioned.